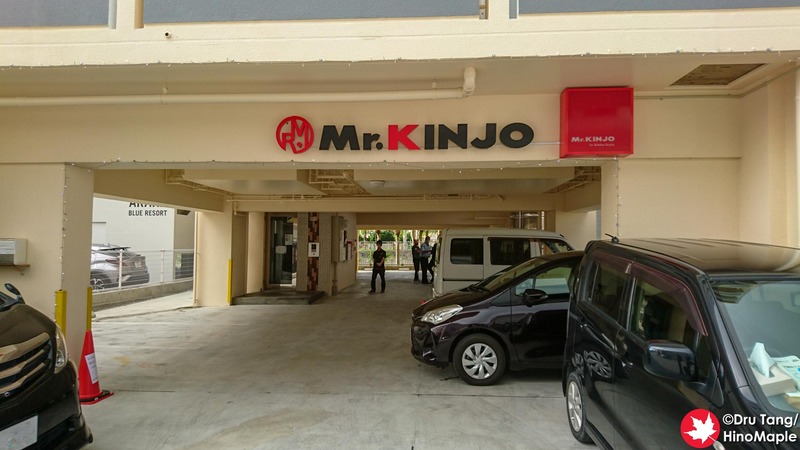 I’m a big fan of the Mr. KINJO hotel group, even though I have only stayed in their hotels once before my last trip to Okinawa. While they are often not in convenient locations, they are very hands off and you can definitely come and go at leisure. 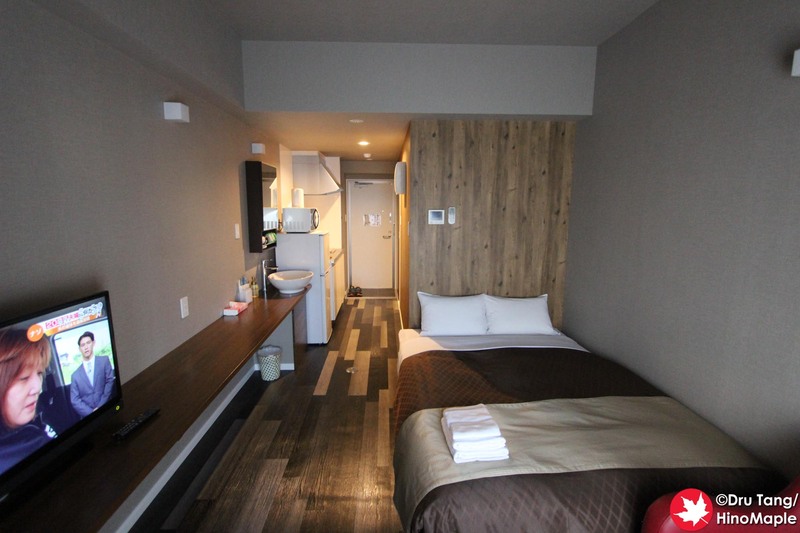 If you are looking for a no frills, clean, and big hotel room, Mr. Kinjo is where it’s at. Mr. Kinjo in Alaha Style is not very convenient, but this can also be a good thing. 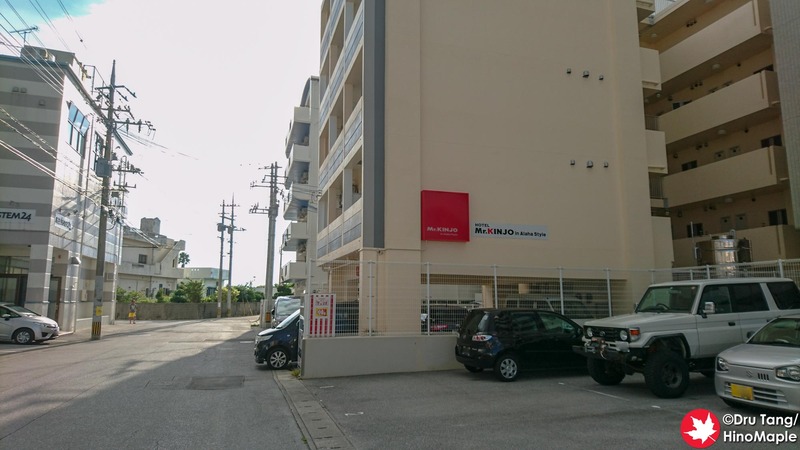 While most of the hotels in Chatan are located around American Village, or inside it, Mr. Kinjo is about 1 km south of the main area of American Village. It can be a difficult walk when the sun is shining and the humidity is high, but if you cut through the park or walk along the coast, it can be a relaxing walk. 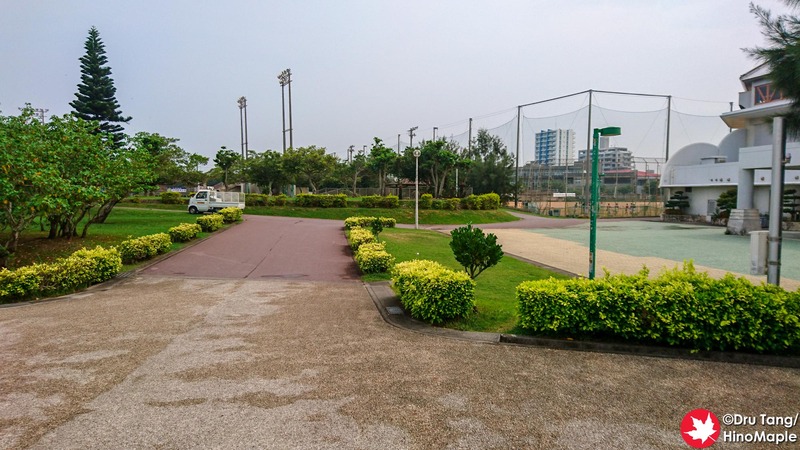 Unfortunately, the first day I was there I didn’t know I could cut through the park that is between Mr. Kinjo and the Aeon supermarket, so I ended up walking more than necessary. 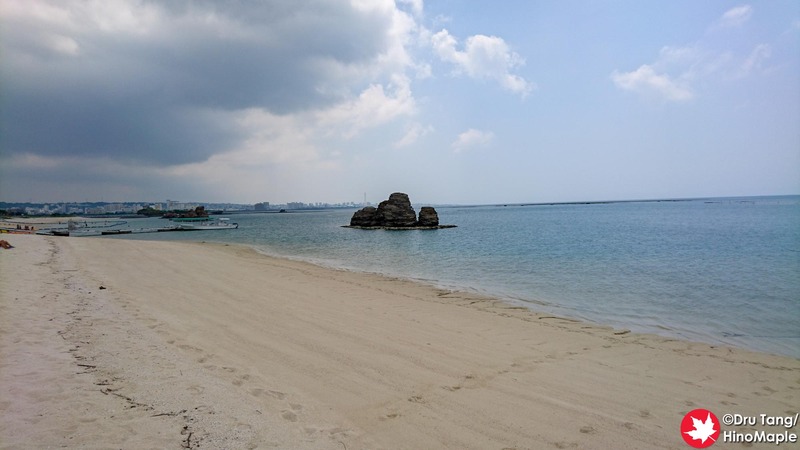 While Mr. Kinjo in Alaha is not very convenient for American Village, it is very convenient to go to Araha Beach. The beach is pretty long and it is only a short 5 minute walk from the hotel. I thought it was a good beach with very few people, although the central area where you can swim is a bit crowded. I enjoyed the northern corner of Araha Beach as it was generally quieter and almost no one around me for 100 meters. It was almost my own private beach. The price for Mr. Kinjo is not too bad. It is not cheap but compared to other hotels it is priced accordingly. Due to the distance to American Village, the prices will obviously be lower. Compared to other hotels, such as the Hilton, I thought it was best to get 2 singles at Mr. Kinjo rather than 1 double room at the Hilton. 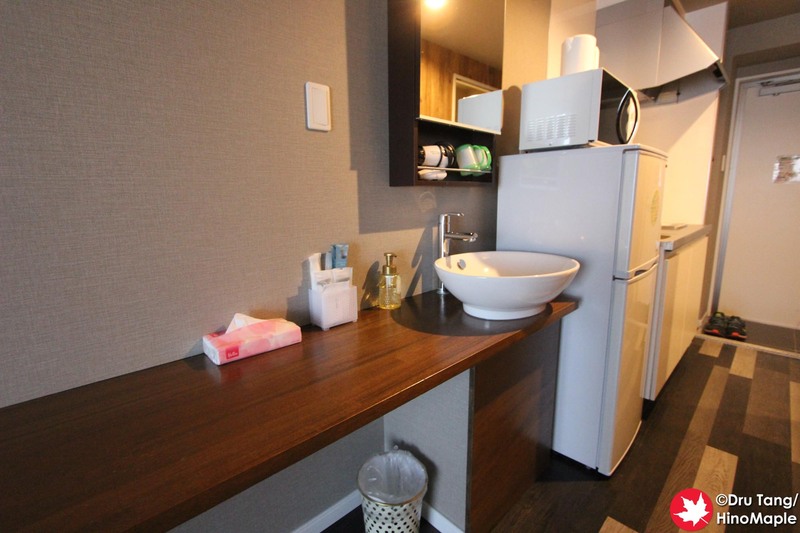 This was a really good thing as each room is basically a studio apartment. 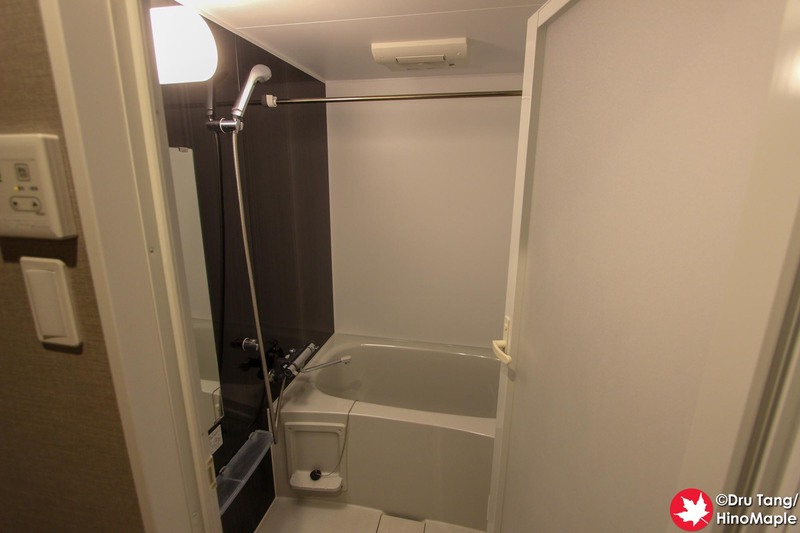 You have a single room with a bed and TV, a small balcony, laundry, shower/bath, and mini kitchen. Considering I was on a business trip and needed to do laundry, it was a good mid-trip stop for sure. I wasn’t expecting too much at Mr. Kinjo but they did have a lot of amenities compared to the last time I visited. Every amenity you get at a hotel is what you would receive at Mr. Kinjo. Service is much lower, but you can be sure that no one will be entering your room. There is no cleaning service and you have to put your garbage out every day if you want it cleaned. I wasn’t there long enough to need it so I just kept it in my room. The only thing I wish I tried was to get new towels as I only had 2 sets for about 3 nights and I could have used 3. I will always look at Mr. Kinjo as a viable option for hotels when I visit Okinawa. If a hotel is more centralized and better suited to my needs for a similar price, I probably won’t be using Mr. Kinjo. However, as long as they continue to have good places, you can be sure that I’ll be making use of their hotel group in the future. Note: Araha and Alaha are the same in Japanese as both R and L are pronounced the same. This entry was posted in Hotels and tagged Chatan, hotel, Mr. Kinjo, Okinawa by Dru. Bookmark the permalink.